Practice using syllables to sound out long words! When your child encounters long words, teach them to clap out syllables as they sound them out. Practice using syllables to sound out long words! 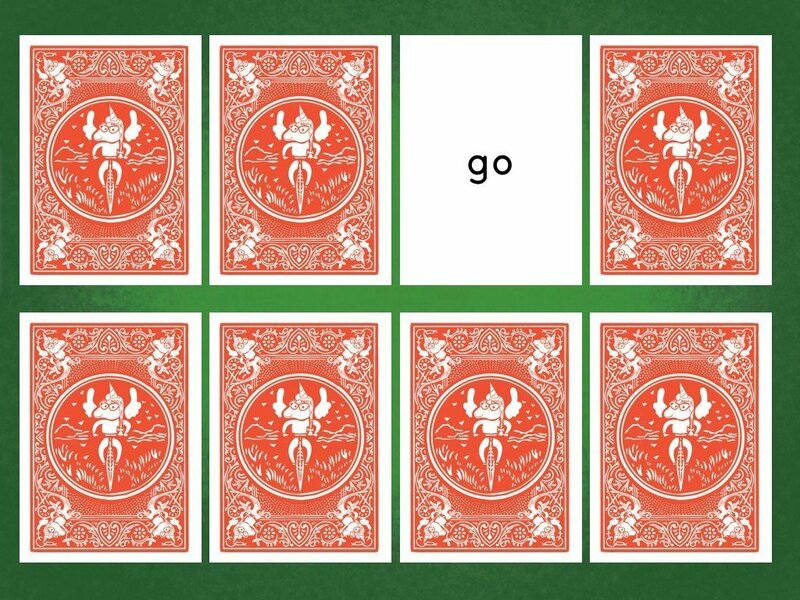 When students encounter long words, teach them to clap out syllables as they sound them out. Words can be tricky things -- especially when you're dealing with the notorious silent "e."
New to the big world of synonyms? 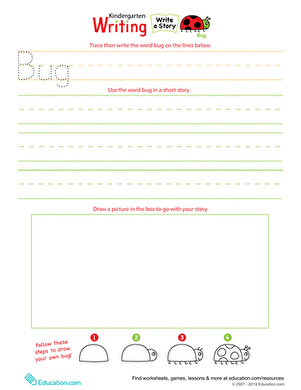 Start off small with this worksheet full of simple words and bright illustrations. 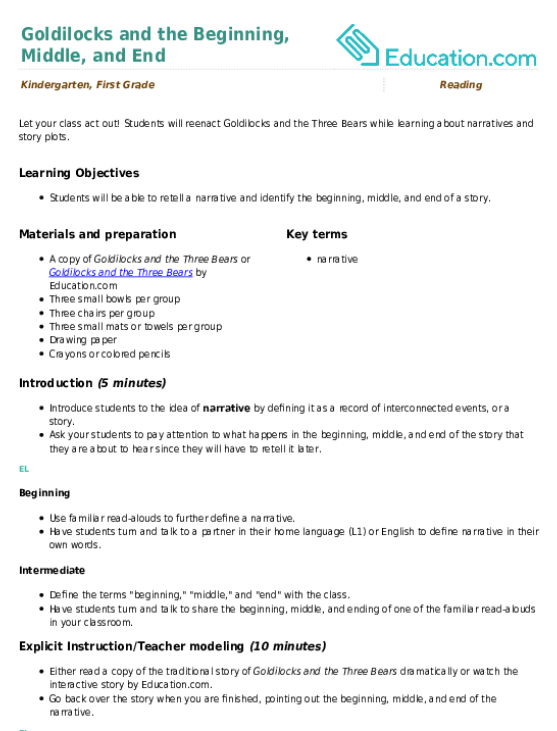 Use objects to help children learn teen numbers. Try giving them ten red beads and ten blue beads to represent tens and ones. Give each student ten connected blue linker cubes and ten unconnected red tubes. Use these to build teen numbers. The color-coded cubes will help students see that a teen number is comprised of a set of tens and some ones. 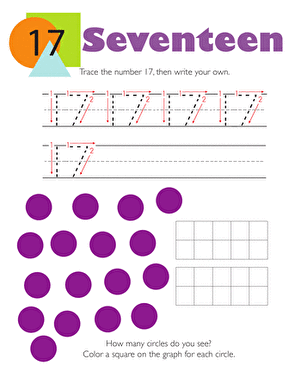 On this kindergarten math worksheet, kids trace the number 17, then write their own. 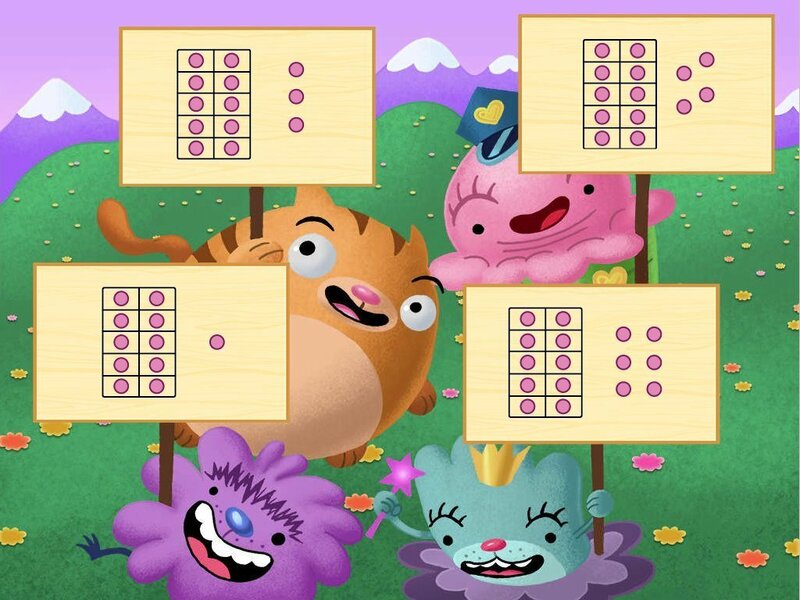 Then they count the circles they see in the picture and make a graph. 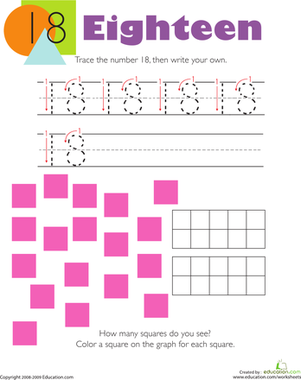 On this kindergarten math worksheet, kids trace the number 18, then write their own. Then they count the squares they see in the picture and make a graph. 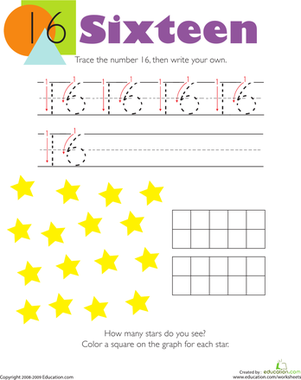 On this kindergarten math worksheet, kids trace the number 19, then write their own. 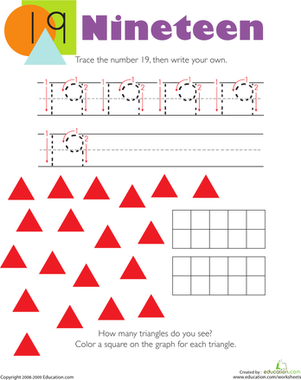 Then they count the triangles they see in the picture and make a graph. There goes the number train! Help put the cars back into order by cutting out the numbers and ordering them correctly. 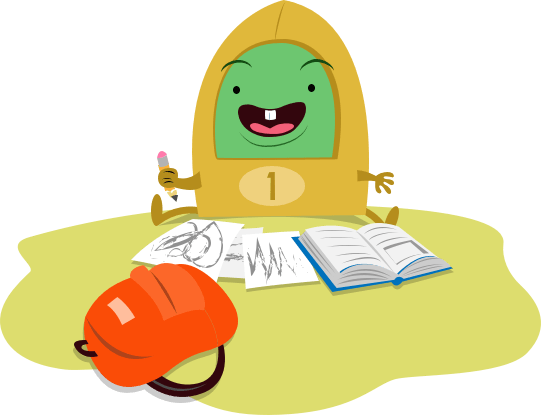 Your child can retell using the Five-Finger Story Hand technique to remember the components: Characters, Setting, Beginning, Middle, and End. Buddy reading is a great opportunity to practice re-telling strategies! 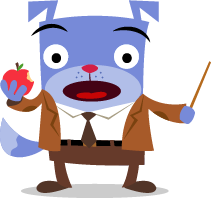 Encourage students to use the Five-Finger Story Hand technique to remember the components: Characters, Setting, Beginning, Middle, and End. 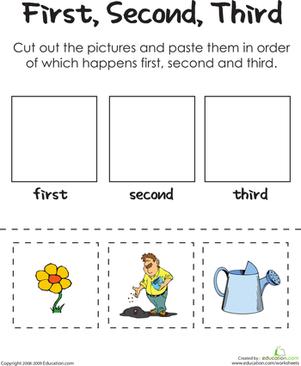 Give your child help strengthening his reasoning with this printable worksheet, which asks him to place events in a logical order. 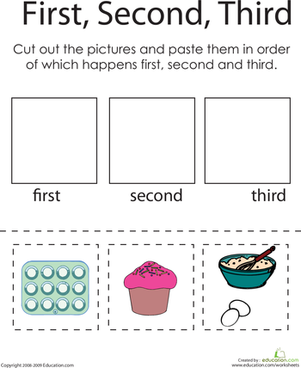 Help your child with his reasoning skills with this printable worksheet that asks him to develop a logical sequence for baking a cake. This week, focus on correct lowercase letter formation, finger spacing, and adding more sounds to writing. The butterflies are out for writing and sentence building practice this Easter! Work on sight words with your young learner.